Passionfruit is something I've only tried very recently...in a cocktail! Since then I've been wanting to try it out in some bakes. A friend - the one who encouraged me to start this blog last summer - bought some passionfruit curd into the office for me. Maybe because he had to endure my ranting about just how good lemon curd is in porridge (a discovery courtesy of Steph from Riverside Baking) even though he doesn't eat porridge. And maybe because of another rant about just how expensive passionfruit is to buy in the supermarket. So thanks for the curd Andy, and for listening to my daily rants! I decided to make some cupcakes filled with oozing passionfruit and a white chocolate icing. The white chocolate I used was a cheeky little corner from the Valrhona white chocolate plate I bought home from my Sunday Afternoon Tea at Podium. I've refrigerated the rest of this to make some more cupcakes or cookies this week, but you could double up the cupcake quantities and make 12 and use all the icing. A few tablespoons of passionfruit curd. Using a metal spoon, gently fold in the sifted flour and then add the milk. Divide evenly between the cases. Meanwhile, melt the white chocolate either in the microwave or over a ban marie. In a stand mixer, beat together the crème fraîche, butter, cream cheese and vanilla. Add the melted chocolate when slightly cooled. Once the cupcakes have cooled, core and pipe the passionfruit curd into the centre. (I warmed the passion fruit curd with a small splash of hot water and mixed well in order to losen it and make it easier to pipe). Rather than piping the icing, as I didn't find the mix stiff enough, I just spread a spoon of icing over each cake and evened with a small spatula. I'm now a fully fledged passionfruit fan, so if anyone has any suggestions of how else I can use this curd then I'd love to hear them! Thanks Hayley! 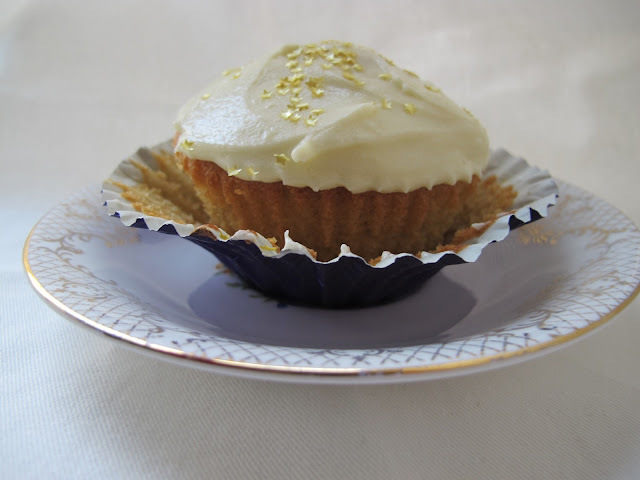 I'm enjoying filled cupcakes so much at the moment, may try some other variations! I have only be following your blog for a month but all I keep doing is pinning you recipes to my food to make board. This idea is just incredible!!! Thanks so much Sian! Let me know if you do try any out, I'd love to see pics :)! Thanks Leanne, may try lemon next time! Passion fruit and white chocolate is such a gorgeous combination - I LOVE the burst of fruity flavour and colour in the middle of these! Hi just found your blog its lovley.I'm kind of addicted to lemon curd too and love me fillings in cupcakes. Yours look Yum! Sophie. So kind, thank you! 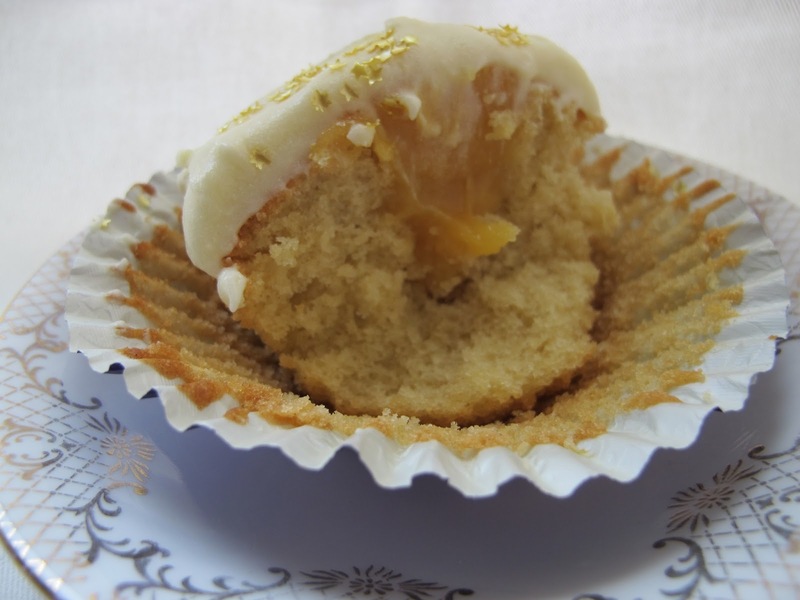 I love the surprise of biting into a cupcake with a filling! Lemon curd on porridge is amazing, give it a go!! I really love the photos on your blog!